definitely going to pick up at least one set. the caps look really nice, and i'm sure i'll find a board deserving of the sweetness. I second looking forward to the HHKB love! Very nice sets and colors except the anchors, whats up with that? Really like the purple color and anchor depending on how it actually ends up looking. Will the pom sliders be better than the 3D printed ones? I heard that they were wobbly and weren't really something you would want to use on an entire board. So these go up on the Ctrlalt website tomorrow? Sounds good. I am beyond impressed by this. Thanks for bringing us this awesome product. Bunny, got any idea on what the production times would be like with JTKeycaps? Will it be possible to just get the sliders? How to enter groupbuy for sliders? 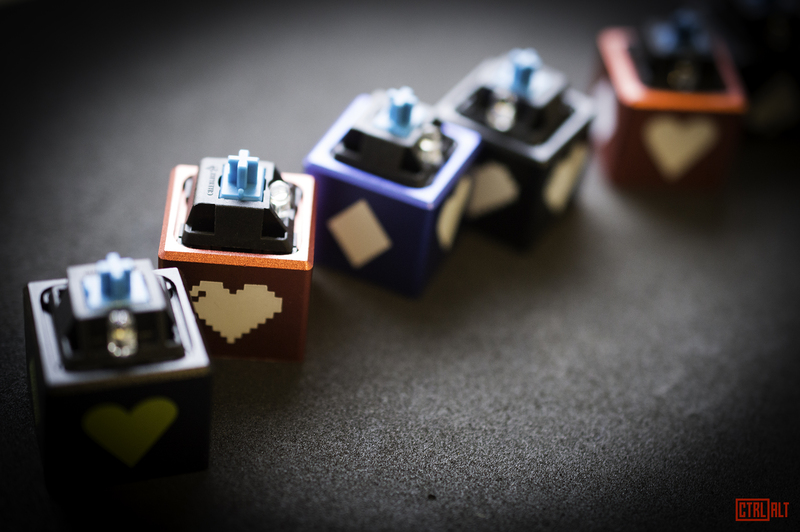 Wait for it to go up on Ctrl Alt or JT keycaps. Following recent messages everyone (or 99% of everyone) would buy this set. 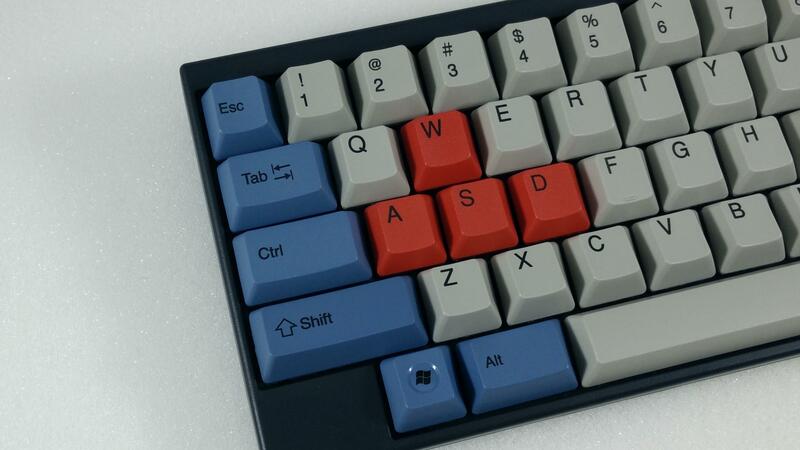 Considering the price and similarity to original Cherry and GMK stuff I think these sets will be top priority for a lot of people. Wouldn't surprise me if Signature Plastics starts seeing a downturn in business from here. Being real though, SP has some serious issues with the way they conduct there GB's. Is JT based in the UK? I'm in for one or both of these, and unless they have some unforeseeable downside (like they're actually made of cream cheese cunningly disguised as ABS) then I can't see myself ever ordering from SP again. So what you are telling me, is that I'll need to replace my F5 switch when the day is over. I wonder how well the purple will fit with the blue GMK modifiers. Finally a GB where there is some PURP and not much else. I love this. Why are you trying to make me spend more money. Really exited for this set. I'd probably get some extra spacebars. That purple and black is what I would have wanted the Bro set to be. Would it be possible in the future to add a HHKB/Realforce (I'm not sure if it's the same on the realforce) MX spacebar that's compatible with the topre stabs? 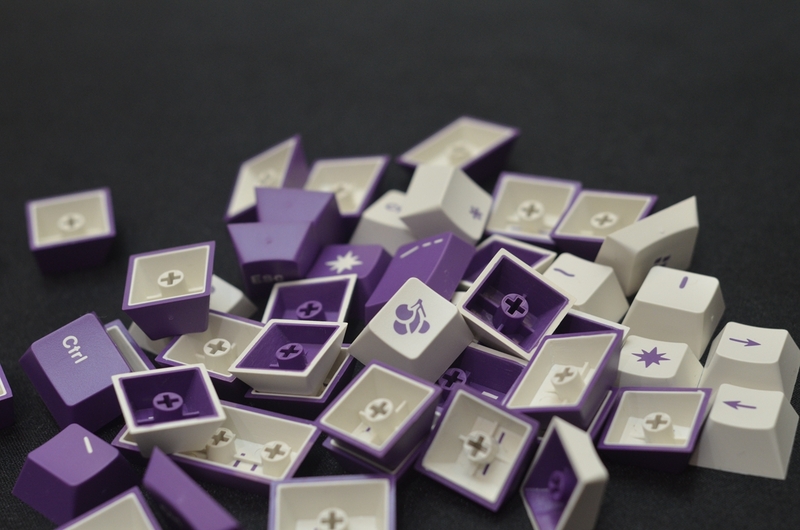 Seeings as this set will be sold along with Topre-mx compatible sliders? And the right 6u size? depending on these buys success, anything is "possible"
Blank Cherry-profile spacebars? I am buying white and black. i'll probably buy one of the first sets just to support the effort (very nice job with the quality and the pricing), but i agree in that some mx-to-topre compatible spacebars would be a real plus for the future. you'd be able to enter your own market space there as well, as now the only accessible replacement option is the black spacebar. every other color currently requires the purchase of an additional set/keyboard once the spacebar starts to develop shine, which is a real terrible position to be put in for topre owners. i am curious though, do you know if topre/cm has a patent on the mx-style slider? i didn't see anything on the usa patent page, but with ya'll pricing the sliders so aggressively, you're actually likely to hurt cm's novatouch business. and i know they paid for a part of the tooling at topre's plant for them, so with all that money invested they'd be very likely to protect their patent, should they hold one. Got any more pics of the WoB set you could share with us? Please just press the GO button!